My darkage ended 2 years after the last of the Viking-sets was removed from the shelves. But being a Dane (from Scandianavia) I love Vikings... well, the romantic perception of them at least (as I like gladiators and all other such masculine stuff). I was lucky to buy the large Viking-ship secondhand from some that have had it gathering dust on a shelf for 6 years. And I got the dragon from another Viking-set and I just won the small Viking boat in a good ebay-deal. The rest of the sets are a bit... less Viking'isch, or totally overpriced. 2) The combination with mythology creatures is a great idea. But the monters is a bit too much BIONICLE to me... specially the faces, claws etc. It's a personal opinion I know, but I prefer the Atlantis/Aqua Raider monsters... which are a bit more brick-build in their expressions. 3) The shooting functions are fun... gotta admit that! But it does make it a bit childish. And it crashes with the authenticity and feel of the theme. Do anyone know if Vikings sold well? How did it go world wide? Was it as success? Was it WorldWide at all? Does people outside Scandinavia like Vikings? I'd love a new Viking range, but then I am from York. The CMF Viking is well sought after, so I reckon they'd be a hit again. I remember that line well, when it was released here in the UK 8 years ago (even though I was about 11 at the time). But despite me being a Londoner, I loved the range. In the UK there were 2 waves of the Vikings theme, which must indicate that the first wave must have done well enough to warrant a second wave, albeit the second wave had only 2 sets. What I especially loved was the first appearance of the dragon wing (19x11 size I think), they were specialised, but not so specialised that they were restricted to dragons (the parts were also used in sets like UCS Batmobile). Even to this day, there is a Vikings-themed land in Legoland Windsor, with wild boat ride, which is still popular. Aftermarket? Not entirely sure, but I picked up a complete Ofnir Dragon set a few months ago for £18. But anything with dragons is going to command a premium. So that answers another question: If Lego updated it, they should keep the Norse mythology side of it, since Lego dragons are insanely popular. And now this has reminded me of a time where vast Lego sets were a bit cheaper. The Viking Fortress, well over 1000 parts for £50. Now, it's a stretch to find 1000 part sets for £80. That's all my 2 pence. Love the theme, got one set cheap on ebay during a mini-emergence from my dark ages years ago but lost in a number of moves. Makes me sad as I loved the dragons from this range quite a bit. More Viking's and you can recreate the short scene from Thor where the ice guys freeze the Viking village and you can use a bunch of the trans blue BURPs from the Batman Mr Freeze "Artic" set. I liked the idea of the theme, being an American of mostly Scandinavian decent, but you hit the nail on the head about the mythical beasts looking too "BIONICLE". I just couldn't get past that. 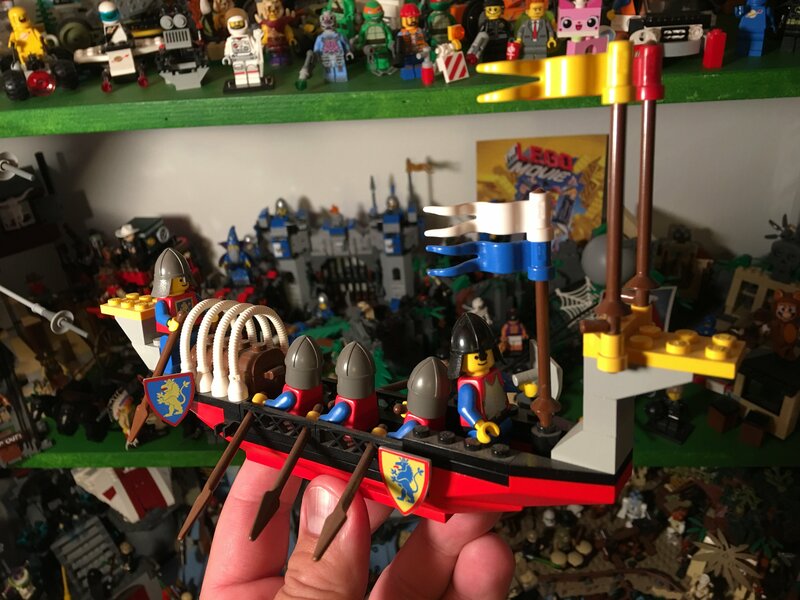 I really hope Lego does another Viking theme and soon, with better looking ships, meaner looking monsters, and perhaps some sort of a village set. If Lego did re-release Vikings, I think the monsters would be better. They'd probably make them in the style of either Ninjago or Fantasy Era, neither of which look Bionicle-y. Okay, while most of the beasts did look too Bionicle (the poseability of the legs of the Nidhogg dragon was, to be frank, terrible because of it), I don't think ALL the beasts looked Bionicle-y. The serpent from the viking ship set immediately springs to mind as that one hardly uses Bionicle parts (two I think, for the neck/head connection) and the poseability came from System ratchet joints. I really liked the design of the wolf in the Fenris Wolf set too, but that one used Technic and droid arms. But it worked - just. Of course, as a young AFOL without a proper 'dark age', I was one who grew up in the Bionicle 'craze', so I say all of the above as a Bionicle fan of sorts. I think back then Lego thought the best way of offering poseability to the dragons was to go down a compromised mix of System and Bionicle, and AFOL's will notice this. It's kinda weird to combine two entirely different building systems, but sometimes it works, sometimes it doesn't. Other than that, more Vikings please Lego. With utilisation of a few new moulds for smaller dragons (maybe like the Eagle piece from LotR), it would look great. But somehow I don't think it's going to happen anytime soon, but who knows? - I don't like the other monsters (dragons and wolf) at all. - A Vikings theme centred around siege weapons is a very odd combination in my opinion. Play factor, I know. But still. - The fort doesn't really strike me as Viking in style either. - The horned helmets. Oh well, that one is inevitable. Yeah I "discovered" the Vikings line about 6 months ago... Too bad. It's hard to develope an opinion with just pictures of the box art. It would be nice if we had some good quality images of the sets here at brickset. I can't even tell if the fort is dark brown or reddish brown from google images! If it were released today, I'd be tempted to add to the buy list, as long as they stayed true to the historical and mythological roots and didn't go too cartoony. I think that MMV or MVR type sets to pillage would be great as well. im canadian and i only discovered this theme when i got the book of lego minifigures. i am extreamly disapointed when they didnt even have vikings in the lego movie. so i added my own creations to lego ideas. since i dont have any lego viking sets i used the ldd lego didgital designer. the theme looks interesting. one of the most striking thing imo are the war machines, I dunno if they are out of place, but they look imposing. if castle war machines could look that impressive... most of them look rather cheap. also, I was considering getting the fort, but I feared it may be too similar to my fort legoredo. Absolutely loved this theme. #7018 is one of my favourites to this day. I rather enjoyed the monster designs; the wolf in particular had some nice part usage. It's all in boxes now but one day I'll put it all back together... and to echo @TheOneVeyronian, the prices were a steal. I missed out on the entire theme while being in the Dark Age. BUT I managed to get the #7018 Vikingship second hand for 200 NOK (that's USD 25). It has been build and left on a shelf to gather dust. No colour fading... such a great purchase! I'd loved the Viking theme. It was one of the few bright spots in an era of some real junk (1999-2006 saw a crappy sets produced in my opinion). As many have said the swords were awful, those terrible techno-fantasy swords of KK2 (I replaced all of mine with normal Castle swords). I don't mind the monsters construction, but do feel if these had been produced two year later they would have been less Bionicleish. My single biggest complaint is how they were released. Originally Lego wasn't going to release these in the US. The justification was "they wouldn't sell well enough in US." 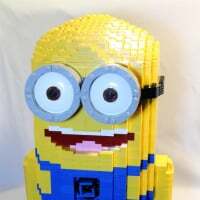 After months complaints (and insults) Lego gave TRU an exclusive deal to sell these in the US. I would get 7018 and 7015 this way. If I remember correctly just before Christmas Lego finally put them on [email protected] USA. I believe I got the rest that way. They were a huge seller for TRU. After the missteps in '04 this was huge slap in the face. I love the Viking Ship. It's easily one of best sets of its period and definitely the best set of that year. Most of the other sets are also good too. While I like the fortress I personally like the prototype better. 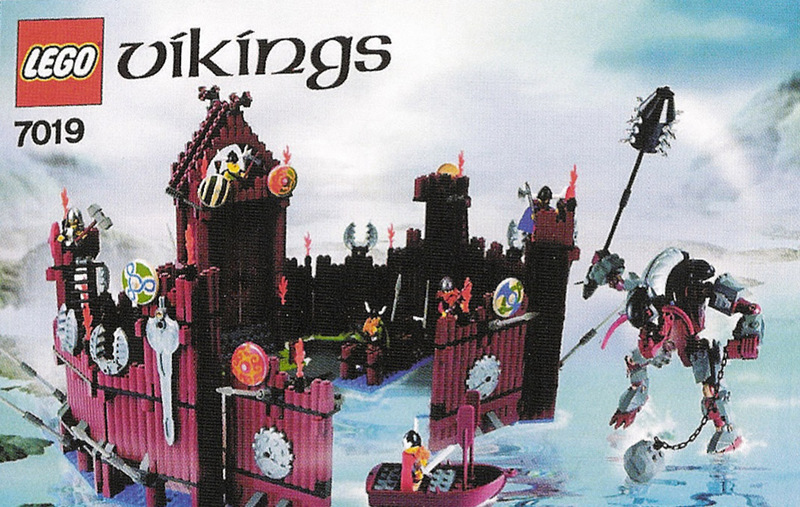 I think Vikings showed that Lego was heading in a better direction then what they had been, because with in two years Lego was putting out some truly great sets. I'd love to see them revisit this theme. I'm not sure they could top 7018, but many of the other could be topped. 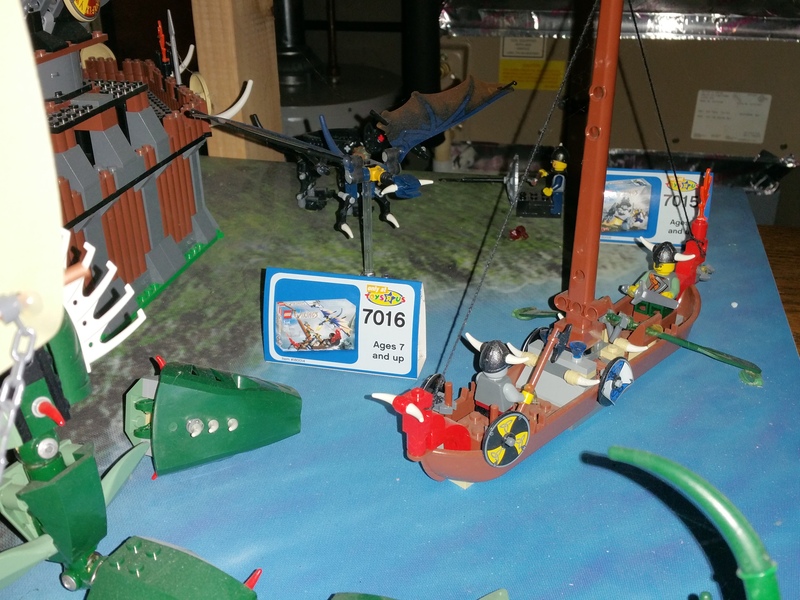 I have to admit that I ONLY bought the two Viking boats (#7016 + #7018). 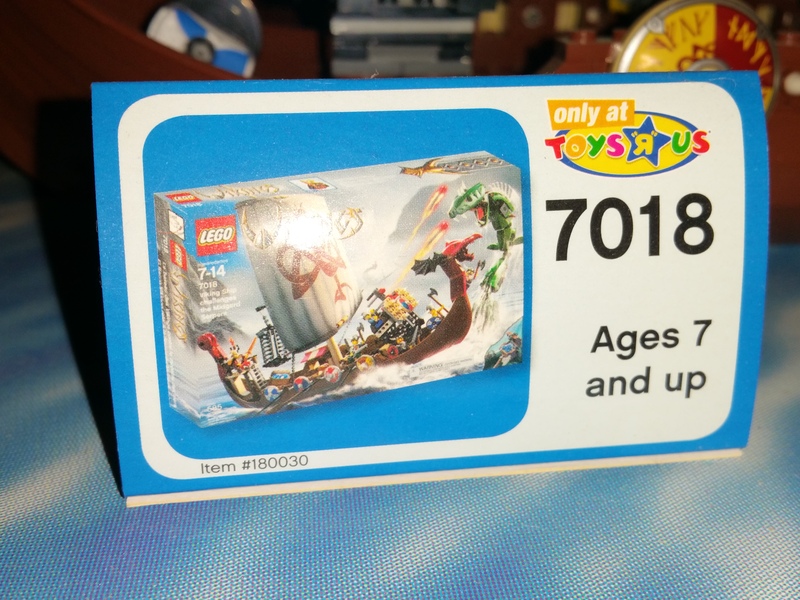 I was tempted to get the #7019 Fortress ... and later I found that #7020 is the best "Shooting set" Lego has released and the Dragon from #7017 is a worthy challenger for Hobbit Smaug (if you want it brick build). 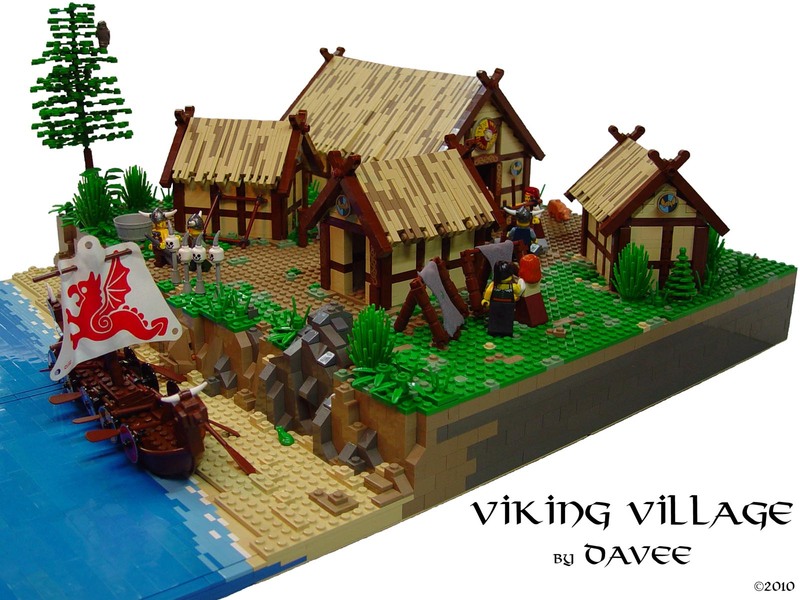 If LEGO would return to Vikings and make a less Technic it would be a best seller in Europe for sure. But since the sets brickwise has gotten quite smaller (Compare pirates 1989 -> 2009 -> 2015) I fear that a new Viking line might be... too cute! Considering the success of how to train your dragon, and that themes are always redone every few years by TLG, a new Viking series is inevitable. Someone somewhere in this forum mentioned that TLC had thoughts of another viking theme. Though I doubt any theme suggestion is left unconsidered by TLC, it might become! I know I like them. When they where for sale, back then I did'nt bought them. Later on, I had the luck that someone sold his entire Lego collection. I bought it!! All the viking sets including box and description and over 26 pirates sets. So. that was a great day. I remember the fun of building these sets. And during time, I collect a lot of extra minifigs, so the boats (I got 2) are filled! I don't know, but I wil buy it for sure! There is currently a TV series about Vikings that seems to be pretty popular, not as much as Game of Thrones but I regularly get told I should watch it. I've not seen any of it, but I suspect its too mature for Lego to base stuff on, but it does at least show a cultural interest. I'd be fairly happy to see a return of Vikings, fantasy type Castle themes are my favourite non licenced themes, and given that Hobbit/LOTR is over it does leave a space for something like that. Incidentally the rumour was for a fantasy era type castle/vikings theme. so may or may not be vikings. Personally I'd love it if TLG started a historical theme rotation - e.g 1 year of romans, followed by 1 year of Castle/Kingdoms, followed by 1 year of ancient Egyptians, followed by 1 year of vikings, set in a repeating cycle. It's not unreasonable to think something like that could happen what with all the moulds introduced from the CMFs, but I don't actually expect it. I suppose Pirates would also fit into that cycle if they wanted too. aren't vikings popular? north mythology could be awesome, ice giants, valkyries, well, thor and loki are already in marvel so that may pose problem. Just found the thread on Eurobricks that I think was the original source of the rumour, seems to be more Castle than Vikings. Yes. They are quite popular in the UK with kids and adults, but then we have a lot of shared history. The Vikings were not confined to Scandinavia. Much like Romans were not confined to Rome and ancient Greeks were not confined to Greece. Plus these are not really historical but mythological and so have been present in western culture for some time. In English, four of the days of the week are named after Norse gods. Playmobil has had some nice historic themes. LEGO could definitely do the same. 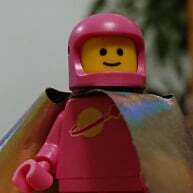 I try to avoid looking at playmobil now, its to much of a temptation to start buying stuff I don't really want just because LEGO should make an equivalent! @Ship : True.. you should really watch the TV series Vikings. It's very true to history storyline, persons, designwise are quite close to how it was. (no horns on helmets, no huge axes etc). 1) Historic version (see the TV series). 3) Mythology version (beasts and monsters). 4) Marvel version (americanised vikings). what's the point if they don't have horns and massive axes? I don't know if anyone remembers the kiosk display at Toys 'r' Us, but it was more impressive than the usual. Just noticed the head came off the serpent! According til archeology they didn't have horns - but they did find helmets with birds(!). They drunk mjød (beer) from horns, and held them to their heads when they were drunk. The british (well reasoned) demonising of the vikings, who raided their homes, drew horns on them. I think a Viking series would be great.... they could even do a Beowolf subset to the series.... with the monsters Grendel and Grendel's mother. Even a Ragnarök/Asgard subset of sets. Another interesting set would be a Stave Church set (TLG has done church sets before) with log bricks... maybe introducing a few new ones to get more of a log "system". Those smells have only improved (in that they have got worse) with increases in technology. I think that Vikings would sell just fine, if there were no other Castle or fantasy themes competing for the business. IIRC, the Knight Kingdom II line was discontinued a year before Vikings came out, and the Castle Fantasy series didn't start until the first year of Vikings was through (I could be wrong). Nevertheless, I feel that Vikings would cannibalize too much on any co-existing Castle (and maybe Pirates) series. 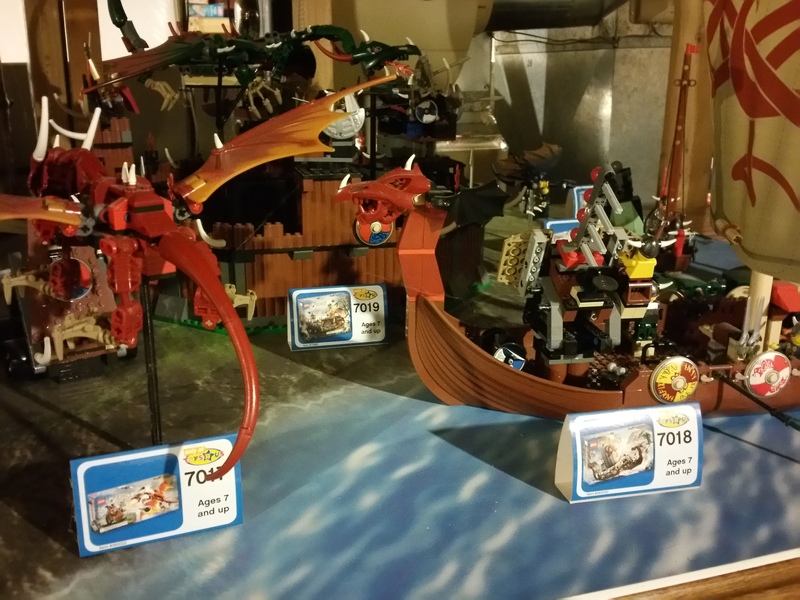 That said, I'll buy Vikings sets again in a heartbeat, especially since the brick-build dragons will look so much better using the more modern bricks and techniques that were not available 7 years ago. ^Just taking a look now, it seems Vikings were sold along side Knights Kingdom II. Does anyone have any information on how well the theme did sales wise? I'd hope they out sold KKII since most of that theme was the epitome of juniorization. I thought the "Only at TRU!" placards might be laziness, but the database indicates the entire line had limited availability in North America. Was it exclusive to TRU in the US? I imagine something like that wouldn't go over too well these days. IIRC, the Knight Kingdom II line was discontinued a year before Vikings came out, and the Castle Fantasy series didn't start until the first year of Vikings was through (I could be wrong). Knight Kingdom II line ran from 2004-2006. The Vikings were raiding square in the middle of the that. That's the main reason the Viking's swords were the KKII swords. Clearly nobody read what I wrote early. Yes, these were a TRU exclusive in the US. Not even [email protected] had them at first (they would get them months later). It didn't go over well back in the day. There was real nastiness on LUGNET about this. anybody know of some cool predesigns of this theme? Yet aNOTHER awesome theme I completely missed out on. Damn you Dark Ages!! Damn youuuuuu!!! The sets look like they had lots of potential, might've drawn me out of my dark age if I had seen them in the US, castle caught my eye even when I wasn't active with LEGO. ^how long ago was this? 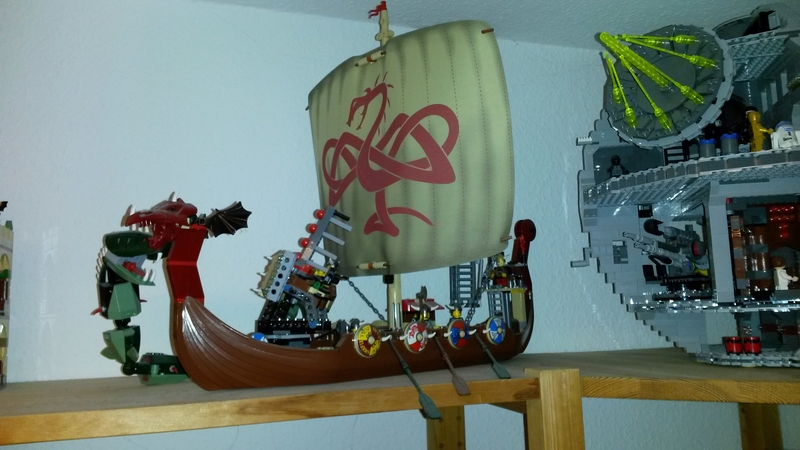 @LEGO_Dad77 - The "Vikings" longboat has got to be my favourite set of the theme, and it's HUGE as you can see.